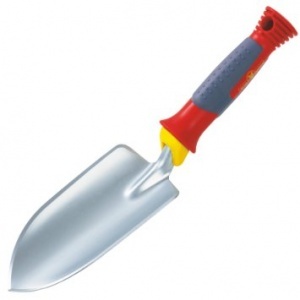 This is a small handle measuring 35 cm in length, ideal for use with Wolf-Garten's Multi-Change hand trowel and fork. It is made from lightweight, high quality aluminium. This fixed handle bulb planter is designed to make planting bulbs or bedding plants simple, featuring an automatic soil release with simple pressure on the handle and a side measure to gauge planting depth. 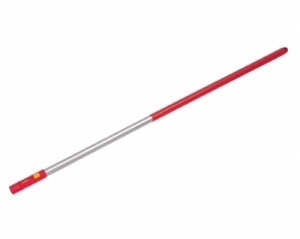 This fixed-handled double hoe is a 7 cm wide tool with two-in-one functionality. It boasts a sharp blade for precision hoeing and three sharp tines to loosen the soil, complete with a comfort grip handle. 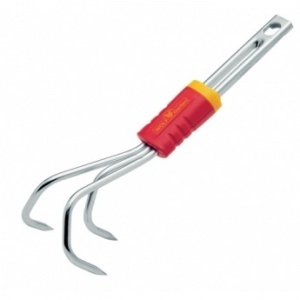 A 7.5 cm wide flower for with four prongs and a fixed handle, this is an ideal tool for planting and transplanting in flower beds, containers or kitchen gardens. With a comfort-grip handle. 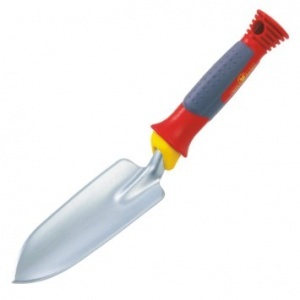 A 7 cm wide planting trowel from Wolf-Garten, this is a fixed-handle tool ideal for planting and transplanting jobs in the garden. Its handle features a comfort grip for ergonomic use. A fantastic tool for loosening and aerating soil in tight areas, for example in rockeries or flower beds, it also boasts a comfort grip handle for extra support when performing a pulling motion. The Wolf-Garten LU2P is a narrow version of the LU2K wide planting trowel made from high quality cold rolled steel for extra strength, designed for use in awkward areas. 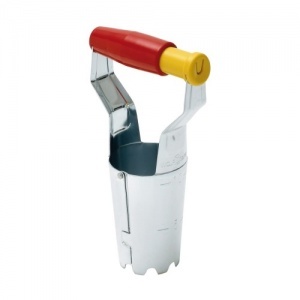 This 85 cm D-grip handle fits all Multi-Change tool heads and is made from strong, high quality aluminium, with a comfortable plastic sleeve and simple locking fit. A 118 cm long aluminium handle for Wolf-Garten's Multi-Change range of tools, this is a comfortable and sturdy way to add length and versatility to your equipment. Enabling the breaking up of soil courtesy of its twin prongs as well as creating seed drills with a small pointed blade, this double hoe measures 5 cm wide so that it can be used even in confined spaces. 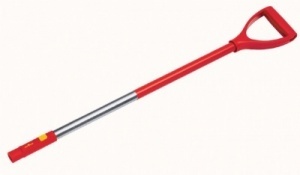 An 11 cm fan rake that's part of Wolf-Garten's Multi-Change system, this tool allows you to easily sweep confined areas. The tines are made of flexible hardened steel that won't bend during use. 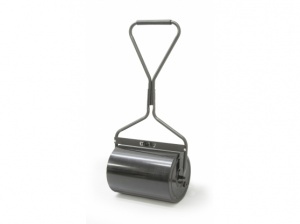 This garden scraper is designed to make removing weeds and moss from between paving slabs and blocks simple and easy. Its sharp edge can cut the weeds, while its hook removes debris. A mini cultivator from Wolf-Garten, this tool allows you to loosen soil in small beds, providing optimum nutrient supply with its three prongs. 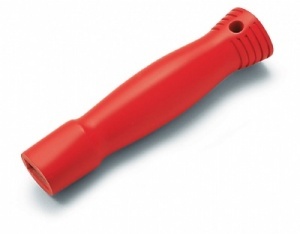 This is a durable tool designed to be used with your choice of lightweight handle. 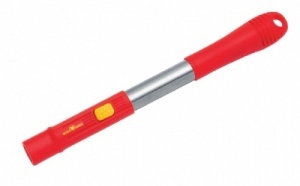 A miniature cultivator and hoe designed to be used with your choice of lightweight handle. Featuring three prongs on one side for loosening soil and a blade to the rear for hoeing. 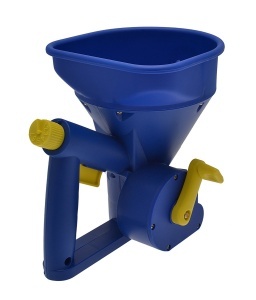 Perfect for breaking up the soil in the hardest-to-reach places, this small crumbler is ideal when working in small beds and confined areas. Part of the Wolf-Garten Multi-Change system. A fantastic tool both for breaking up the soil and for weeding in small areas or closely planted beds thanks to its narrow 7 cm width. The front prongs allow for loosening the soil, and the sharp blade to the rear slices through weeds. This small rake is a great choice for easy weeding and aerating, even in small flowerbeds and containers. Its fine curved teeth make for excellent performance, with a 8 cm working width. This small sweep from Wolf-Garten with an 11 cm width allows for sweeping up debris and the loosening of soil in particularly confined areas. With strong steel tines that won't let you down. A single-handed scraper that makes removing moss and weeds from between slabs and paving easy. With a comfort grip handle for extra support when in use. 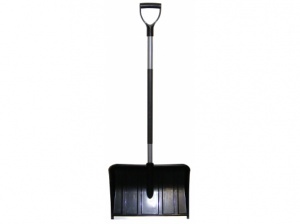 This fixed handle small sweep has a 11.5 cm working width that allows it to work in smaller flower beds or containers. It comes with a comfort grip handle for extra support. A knife specially designed for cutting out deep rooted weeds, this tool also comes with a comfort grip handle that provides extra power & support while pulling with it. A steel-bristled weeding brush adept at removing tough weeds and moss from between paving slabs. Designed to be used with Wolf-Garten's Multi-Change selection of lightweight handles.